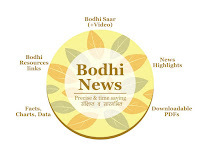 Bodhi News & Analysis - Special - NITI Aayog's vision documents replaces Five Year Plans - 24 Apr. 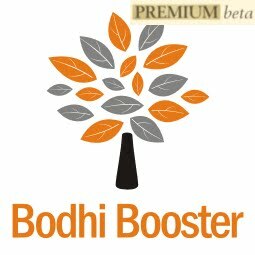 Welcome to Bodhi News for 24 April, 2017 - from Bodhi Booster knowledge portal! 1. Indian economy and Governance – The five year plans are officially dead. NITI Aayog’s vice chairman Arvind Panagariya presented the government’s new approach of envisaging a 15 year long term vision, together with a 7 year strategy and a 3 year action agenda at the third governing council meeting on April 23. The Aayog unveiled draft of a new three-year action plan, which replaces the age old five year plans. 2. Indian economy and Governance – PM Modi, in his deliberations in the NITI Aayog governing council meeting (“Team India”) on 23 April, indicated (a) his preference for a January-December fiscal year, (b) holding simultaneous elections and (c) the implementation of the GST regime which is a great symbol of federalism. According to the PM, in a country like India where agricultural income is exceedingly important, budgets should be prepared immediately after the receipt of agricultural incomes for the year. 3. World economy – The US has accused top Indian IT companies like TCS and Infosys of unfairly cornering the major share of H-1B visas by putting extra tickets in the lottery system which the Trump administration is trying to replace with a merit-based immigration policy. This indicates that coming months will be extremely tough for these companies as an adverse policy regime gets hardened. 4. Indian politics –The prestigious MCD polls in Delhi were conducted on 23-April. The exit poll results released immediately thereafter indicated that the BJP (ruling the MCD for the last 10 years) is once again about to win. The AAP and Congress are not doing well. The Aam Admi Party has once again toed its earlier line of EVM tampering without realizing that the exit poll predictions are based on the response of the voters and not on the EVMs. National politics, as of now, seems highly inclined towards one Party. Interesting times ahead! 5. World politics – Tension in the Korean peninsula is rising fast with North Korea saying that it was ready to sink a US aircraft carrier to show its military power, as two Japanese ships joined the US carrier group for exercises in the western Pacific. Chinese Foreign Minister Wang Yi said there were already enough shows of force and confrontation and appealed for calm. Adding to the tensions, North Korea detained a Korean-American man, bringing the total number of US citizens held by Pyongyang to three. N.Korea accuses the US of imperialism in Asia ever since the end of second World War, when Japan was overpowered by American forces. 6. Defence and military – A study revealed that Russia became the world's third largest military spender in 2016 despite low oil prices and economic sanctions, as the global expenditure rose for a second consecutive year. Russia's military spending, which was $69.2 billion (around 64 billion euros) in 2016, witnessed a 5.9 percent rise over 2015.This was the highest proportion of its GDP since it became an independent state. This increased military spending comes at a time when the Russian economy is in serious trouble due to low oil and gas prices and the economic sanctions imposed since 2014. 7. World politics – European politics is witnessing a battle between nationalism and liberalism! Centrist Emanuel Macron and far-right leader Marine Le Pen emerged as the potential winners of a keenly contested first round presidential vote in France. The likely result clears the way for a straight two-way contest between the two in the second and final round on May 7. European Commission head Jean-Claude Juncker will be happy to see pro-Euro developments. 8. Indian economy – NITI Aayog vice-chairman Arvind Panagariya, during a presentation made at the Governing Council meeting, said that the Indian economy will witness a three-fold expansion at $ 7.25 trillion by 2030 and clock an average growth rate of 8% over the next 15 years. The country’s GDP stood at around $ 2.11 trillion in 2015-16. 9. Elections – The Election Commission of India (ECI) issued a letter of intent for purchase of 16,15,000 Voter Verifiable Paper Audit Trails (VVPATs) at an estimated cost of Rs. 3,173 crore during 2017-18 and 2018-19 from two public service undertakings – Bharat Electronics Ltd. (BEL) and Electronics Corporation of India (ECIL). These VVPATs will be manufactured by the two PSUs only as per the design approved by the ECI. Indian politics – The EC has also proposed disqualification of sitting MPs and MLAs chargesheeted for the offence of bribery or undue influence in polls under Sections 171B and 171C of the Indian Penal Code (IPC) – it will need an amendment to section 8 of the Representation of the People Act 1951. 10. 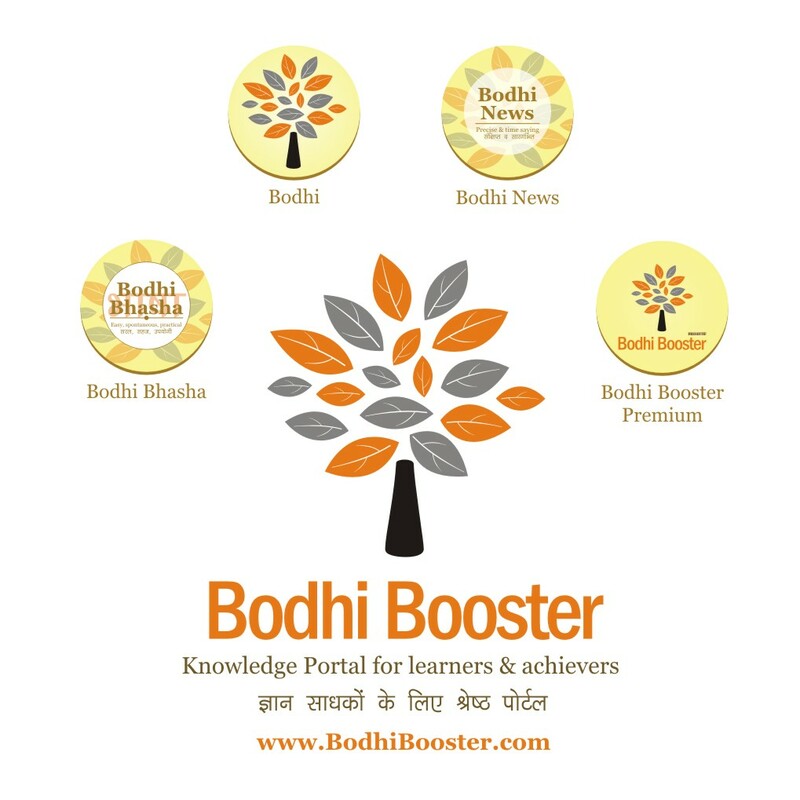 Society and culture – Amidst strong protests from opposition parties and the Supreme Court’s ruling that Aadhar cannot be made mandatory for government schemes and benefits, the Aadhar numbers of lakhs of pension beneficiaries were displayed on a government website in Jharkhand. According to the Aadhar Act, the unique identity number cannot be published, displayed or posted publicly. 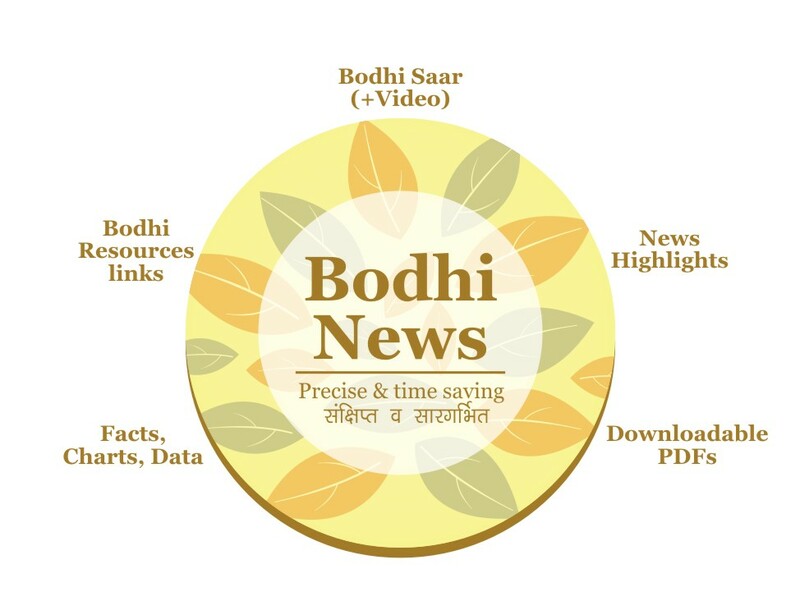 Bodhi News: Bodhi News & Analysis - Special - NITI Aayog's vision documents replaces Five Year Plans - 24 Apr.